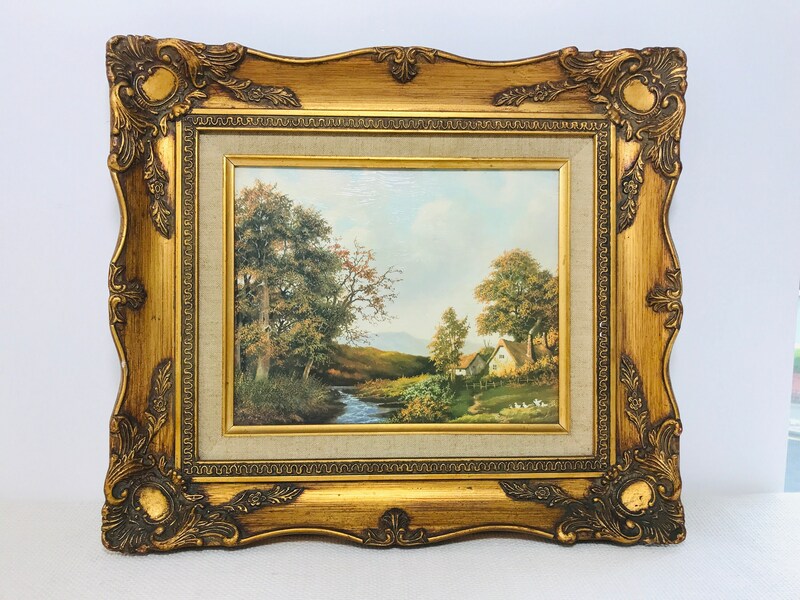 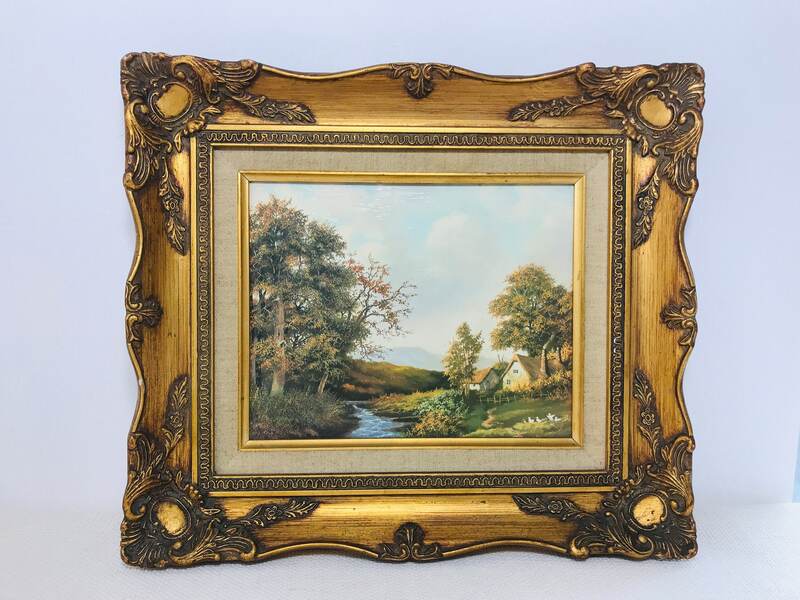 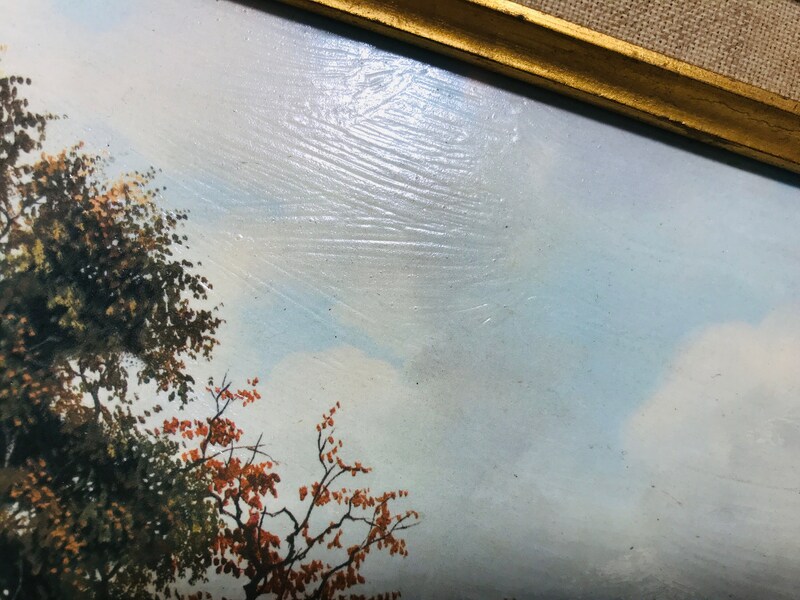 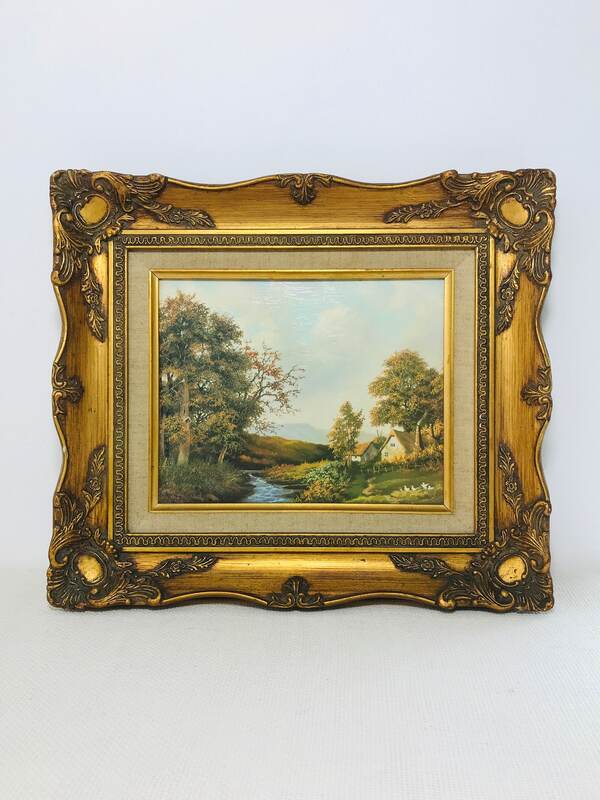 A lovely gold ornate framed oil painting of a very English Country scene depicting two cottages alongside a stream, hills and trees with some geese fluttering their wings. 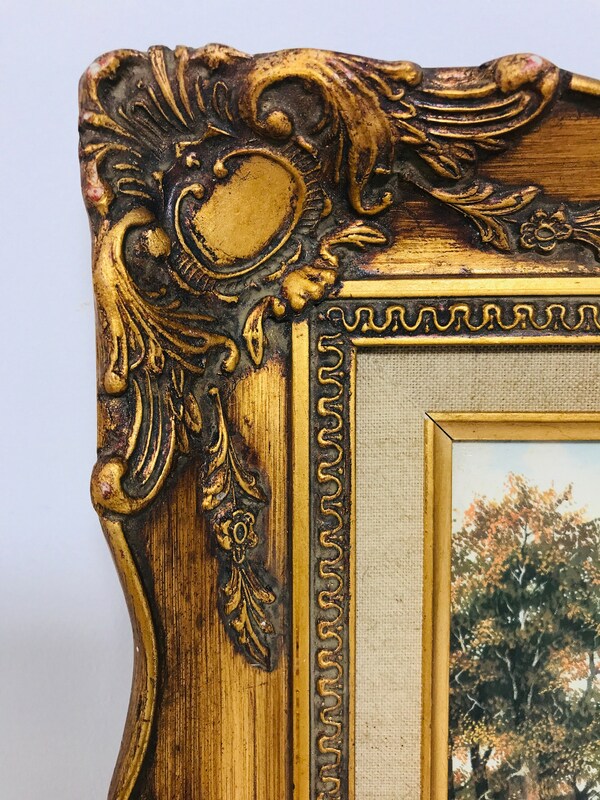 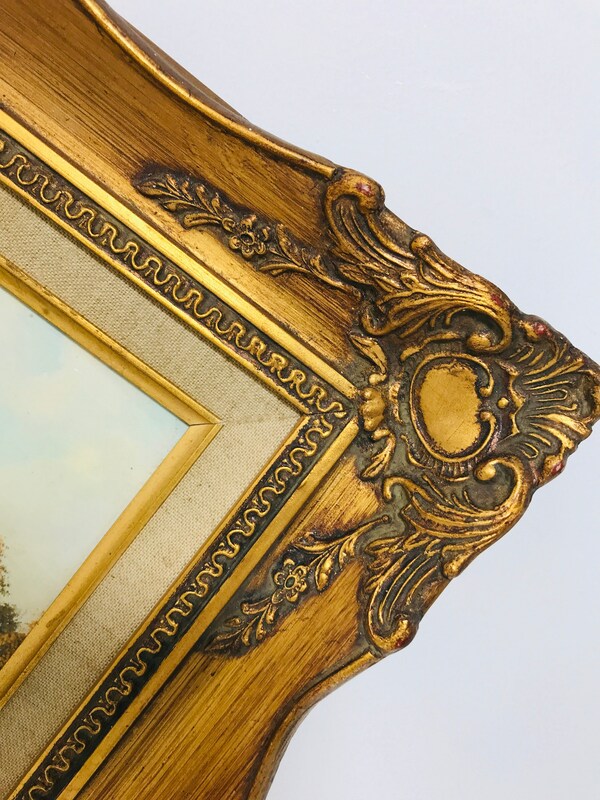 The frame itself is very beautiful and ornate in a baroque swept rococo style. 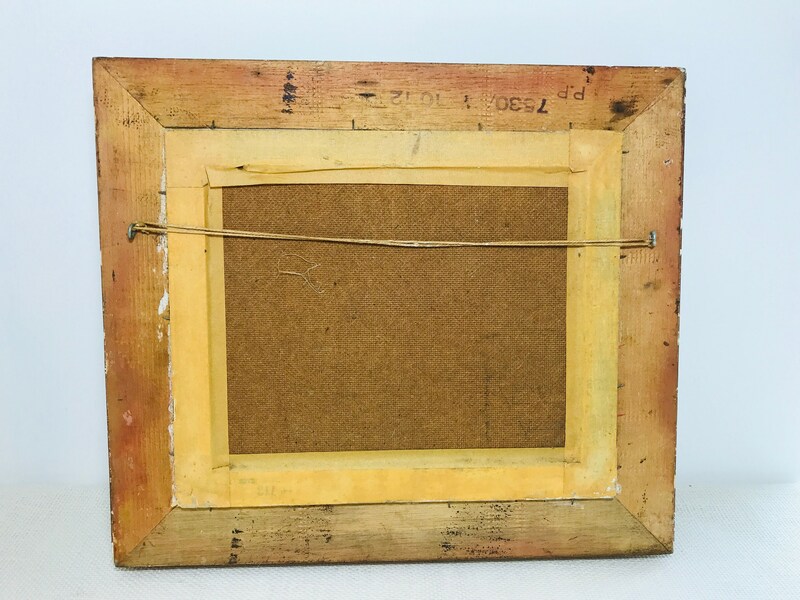 External Frame measures approx H13" x W15" x D2"